Well, I got all but one correct, but I truly do not understand what "Slavic country" or "Slavic language" means and why some of former USSR and former Yugoslavia countries are listed, while others are not. Prior to their break ups, were USSR and Yugoslavia "Slavic countries" or not? Could a country be only "part Slavic"? -- as this is what this would imply. Guess I'll look it up. You can find it in the source of this quiz. "Can you name all the countries where a majority of the population speaks a Slavic language?" I think this is quite clear and a logical choice. Maybe it wasn't there at first. The other former Yugoslav and former USSR countries do not speak Slavia languages and some of them are not even racially Slavs. That's why they are not in this quiz - which is 100% correct. 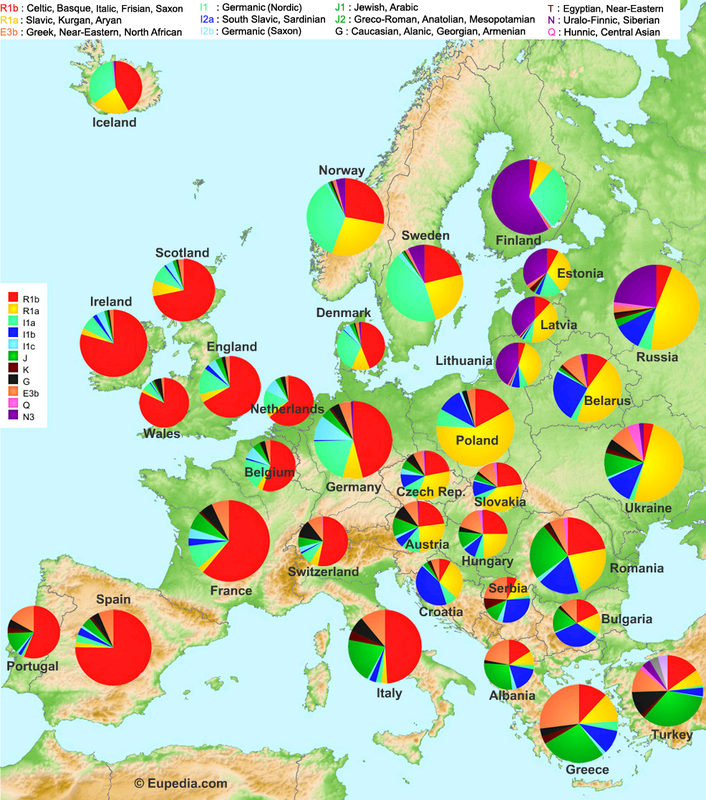 Slavs are a broad ethnic group that speak related languages (like how Germans, Dutch, Danish, English, etc. speak related Germanic languages). Slavic people mostly live in Eastern and south/central Europe, but not every country there is majority Slavic. Austrians are Germanic, not Slavic; Hungarians are not Slavic, neither are Romanians or Greeks. If you look at Slavic languages, there is a decent degree of mutual intelligibility, especially from languages that border each other. Croatian and Serbian are almost the same language, and Ukrainian, Russian, and Belarussian are all very similar as well. In the former Soviet/Russian empire territory, some lands were settled mostly by Slavs, some have mixed populations of Slavs and non-Slavs, such as Kazakhstan and Latvia (which have a lot of ethnic Russians). Armenians and Georgians, for example, are their own ethnic groups that speak languages unrelated to Russian/Ukrainian/other Slavic languages. I never would have guessed Moldova wasn't Slavic. To be precise, Armenian is an Indo-European language and thus IS related to Slavic languages. For clarification, I wasn't trying to argue that Moldovan was slavic but rather expressing my ignorance of the language and its associated group. Not to mention that the IE family contains such a huge and diverse spectrum of languages, which makes it more practical to use the sub-branches to classify languages. It's like saying Hindi and English are related because they are in the same family. Well, they are, but very, very distantly so. Romanian is very similar to Italian. Though just because a people speak a language doesn't necessarily mean anything beyond that. I mean... most Inuit people speak English these days. Does that make them English? By the standard of this quiz, yes. But people get it into their head, thanks to tribal concepts like nationalism and race, that ethnic groups are discrete and permanent when in reality they are constantly changing and always bleeding into each other. See this map for example and see that Romanians, Bulgarians, Hungarians and Slovaks are indeed pretty damn similar in spite of not speaking languages that are closely related. And I'm Polish! Hi brother! Most people in Kosovo speak albanian. Is this by native or total, because I think most Kazakhs can speak Russian at least as a second language. Must be only native speakers, otherwise (almost?) all ex-USSR would be included. They don't actually know what Slavic means and just enter Slovenia and Slovakia? Russia was actually the last one I got because I had a brain fart, and thought "No, they're Cyrillic..." then I remembered that Cyrillic is only the alphabet. And that I am an idiot. How is it that Romania and Albania aren't considered part of this list? In neither of this countries the majority of the population speaks a Slavic language. How is it that you didn't read the discussion above before commenting? That's sort of how we do things around here. Nice tidy quiz, but WHY OH WHY can't I deal with having the "West Slavs" on the right side and the "East Slavs" on the left. If only it were reversed!